Plans . . . my jetski co-worker and I were supposed to go boating once per week after work, but so far that hasn’t really worked out. That was the plan anyway. The last few weeks we couldn’t get our schedules to match up. Finally, today we were able to make it work and it turned out nice. We left work a little later than expected, but except for one stop to tighten a strap flapping in the wind, it was a straight shot down to the boat ramp at the North Marina. And, it was very warm, too. About 90 degrees with a light breezes and periodic gusts. He headed out out on his jetski to check out some recent repairs and I paddled east towards the dam while cruising around the coves on the north shore. 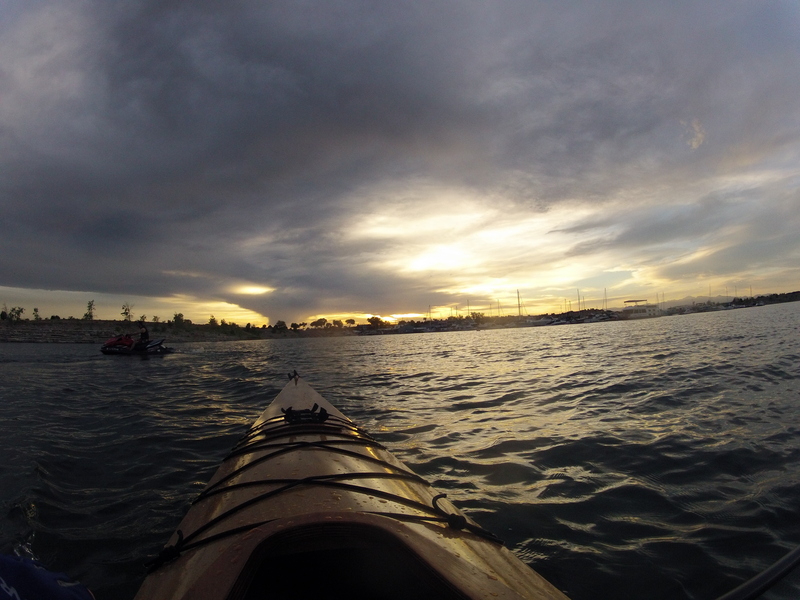 We logged about 90 minutes of boating, getting back to the marina just after 8PM. The clouds made for a nice sunset. Our annual group camping trip to Rampart Reservoir resumed this this last weekend. I say resumed because the Forest Service did not give much advanced notice as to the status of the campground last year, so we went to Lathrop State Park instead. The 2012 Waldo Canyon fire closed the campground, but this year it was clear early on, that it would be open. I took vacation time on Friday and we arrived at Rampart mid-day. Jeff was already there with the camper, so we pulled right up and unloaded our gear. 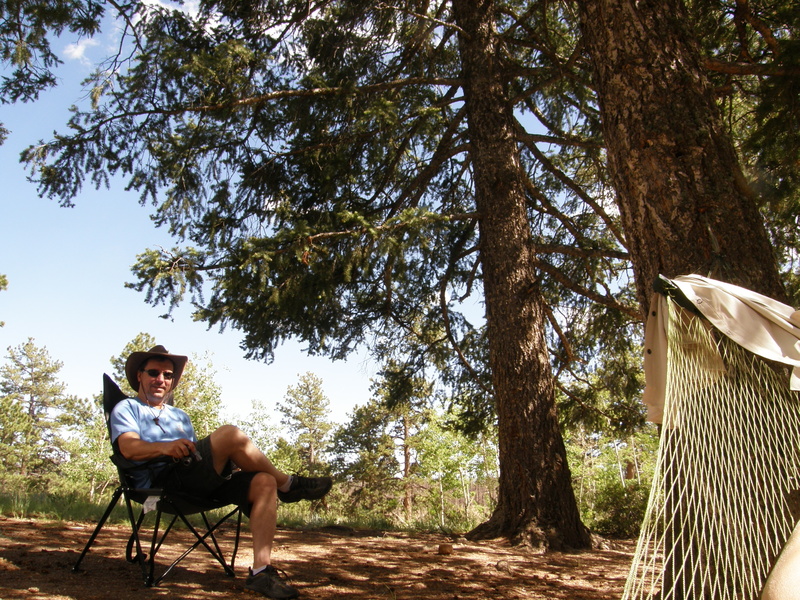 We set-up our hammock and relaxed in the mild temps, light breezes and sunshine. After some rest we walked the trail down to the reservoir. It was Saturday morning, sunny and a little breezy. Seemed like a nice day to go for a paddle, especially because I twisted my knee playing street hockey the week before and it was still too sore for any serious hiking. Sometimes I wonder if, at age 50, I should quit playing street hockey but then I conclude that as long as I don’t seriously hurt myself I’m probably okay. The first time I hurt my other knee was on a backpacking trip, so I just don’t think I can stop doing everything just to avoid injury. Anyway, we loaded up my little boat, a 13 foot Mill Creek with the wood strip deck, and Lisa’s Sea Island Sport sit-on-top. 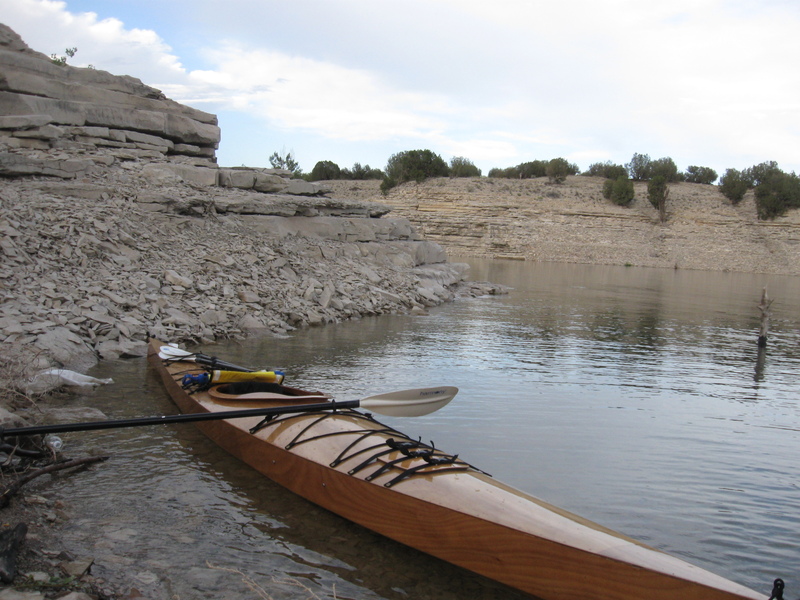 Both are boats I built a few years ago from kits available from Chesapeake Light Craft. If you look at some of my older posts you can see the boats during the building stages. 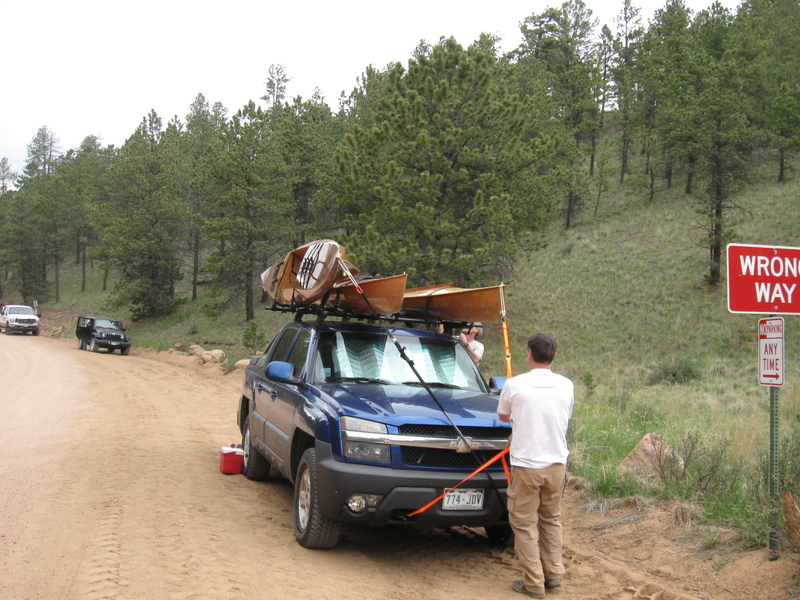 For this trip we also planned to take Jeff’s Mill Creek 13 as well, and as this would be the first time I would try to carry three kayaks on my truck, I spent a little extra time figuring out the placement of the J-type and gunwale holders for my Yakima rack.